As a business owner, you should definitely know what your business is all about. Constantly update your knowledge about your business because it will constantly evolve in order to survive. Usually, companies evolve in order to improve efficiency, enhance their relevance, or to adapt to a whole new type of consumers. For example, brick-and-mortar businesses might want to have a website as part of their business evolution. Consequently, investing in web development services would become part of their brand development strategy. Define clearly what your brand is. After all, how can you communicate your brand value if you do not have a substantial understanding first to base it on? 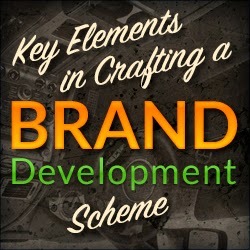 During the brand development process, you will surely ask yourself who the intended receivers of your message are. If you answer “everyone”, you should know by now that this is an unacceptable response. You should clearly define who your target customers are so you can create the fittest messages for them. In this way, your business would not sound too generic. Always keep in mind that the more personal and targeted your message is, the more likely your customers will respond to it. Lastly, determine the benefits your customers will get once they choose your business. In addition, identify what motivates them to purchase by creating a survey or researching. In this manner, you would precisely know what to offer to various customer profiles. Now that you’ve discovered these three key elements, the next step is to prudently plan how to carry out them. You could always partner up with a professional marketing firm or a company that offers web development solutions if you are preparing to take the ecommerce industry. Either way, make sure to work closely with them to guarantee that your brand is expressing the right messages, and talking with the right audience.